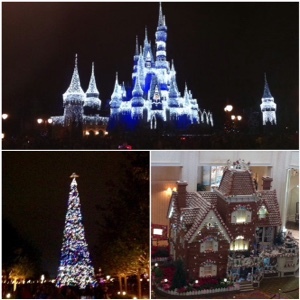 Orlando Visitor: Christmas at Walt Disney World Florida. Christmas at Walt Disney World Florida. Going to Walt Disney World in the Christmas season is a festive magical experience, you enter the realm of quality, luxurious decorations, gorgeous food experiences, make believe, dreams, fun, laughter, music, thrills, adventures and warm/hot weather! Definitely worth looking into in my opinion, having had the pleasure myself I highly can recommend it. We went early December it was not too crowded but all the decorations were up and festive spirits were high. Labels: Walt Disney World Resort. Orlando. Florida. Magic Kingdom. Disney's Animal Kingdom. Disney's Hollywood Studios. Epcot. I'll Hide You Fnd Me!